For the longest time, I lived in blazers for my previous job. Not because I had to wear a suit, but because I loved how a blazer could pull together a look. 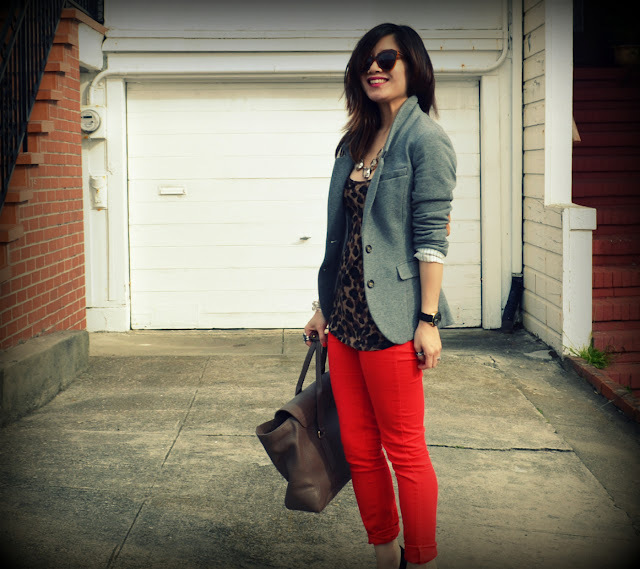 I could wear a simple pair of slacks with a basic top (button-up, t-shirt, blouse, etc. 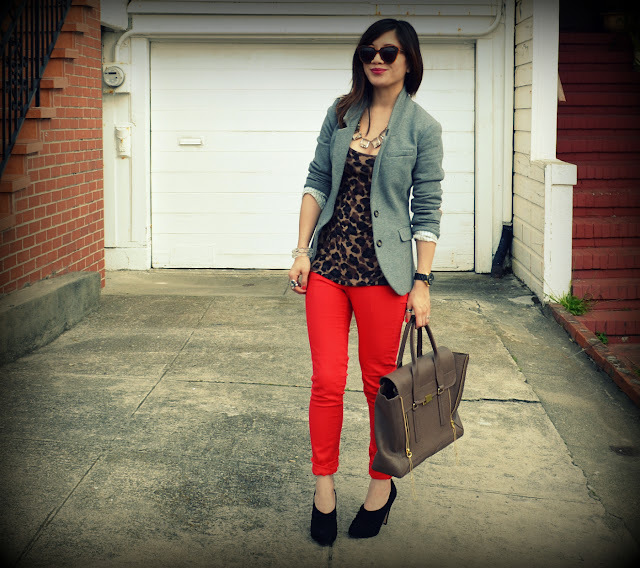 ), throw on a blazer and feel sophisticated and chic. The same still rings true for a trendy outfit that I wear on an everyday basis. By throwing on this blazer from H&M, I'm ready to go out feeling stylish without feeling like I'm over the top in trends. Do you feel that way about certain items in your closet? You look super sweet! 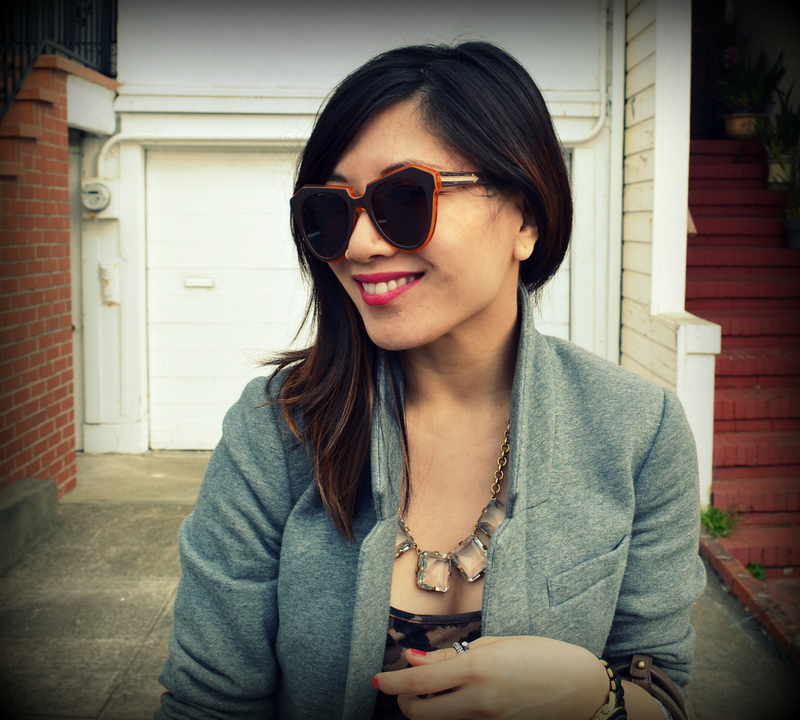 Love your outfit and blog! The combination in this outfit, I love! 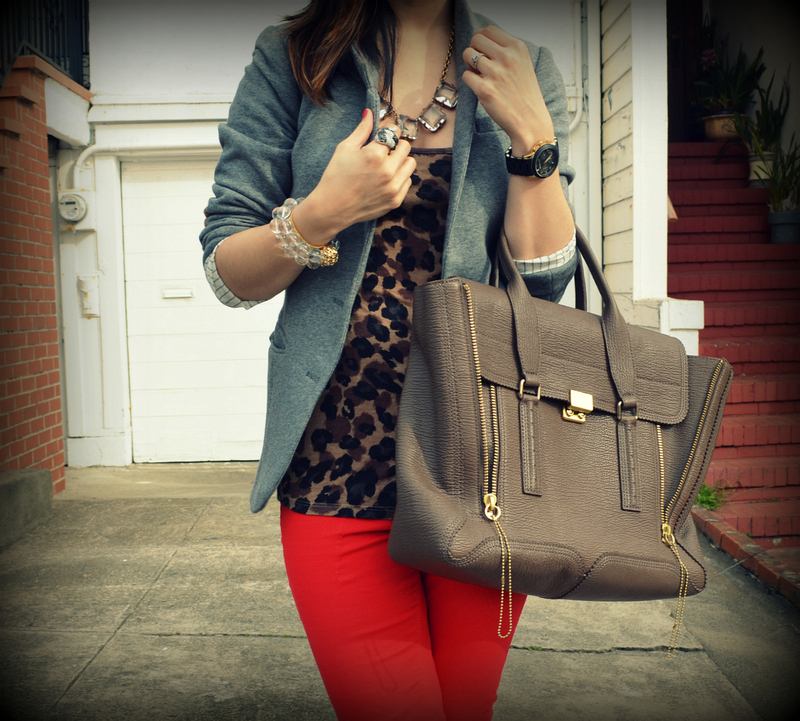 Red, cheetah, grey blazer, and those boots! I would wear this! love everything about this outfit! you look FAB! devil is in the details, right ?!! great sunglasses, bag and necklace!! loving the way you pair up accessories!!! love this look, esp the blazer and pants!